This week’s photo challenge is all about motion. Dog paddlin’ at Doggy Dip Day event where the dogs can go swimming. 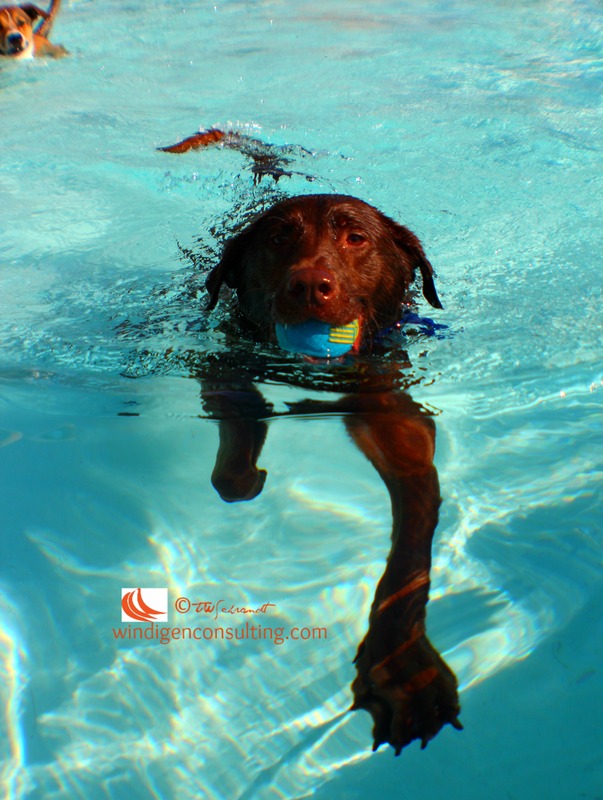 Paddling with his ball, he got photobombed by another happy dog! 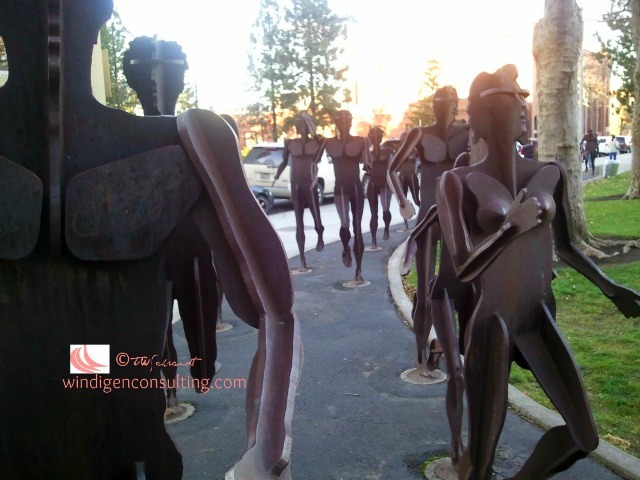 The Joy of Running Together is a sculpture located in downtown Spokane, Washington. The work is comprised of 40 life-sized figures, all posed in the motion of running. 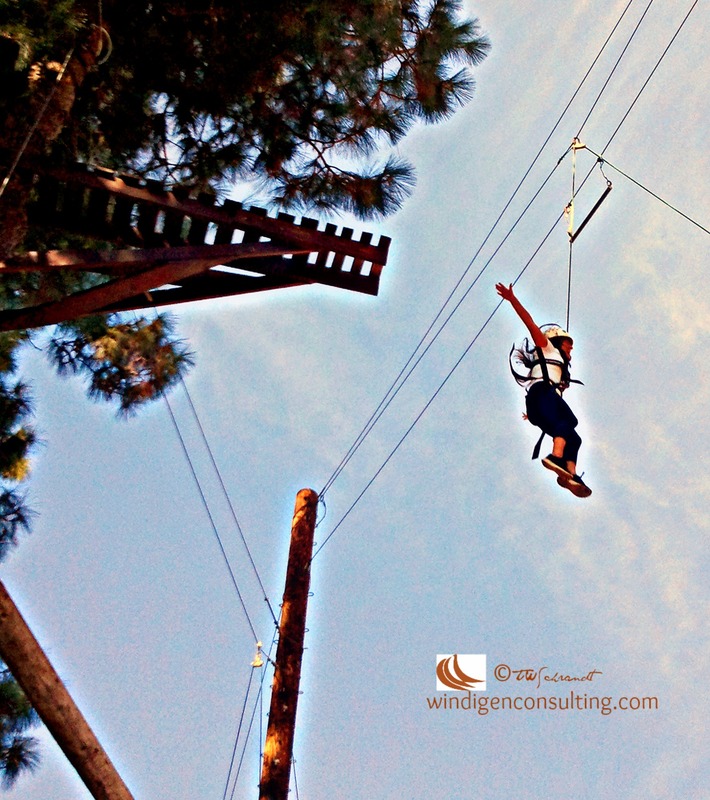 At my university, a student takes a leap of faith off “The Dive” at the Peak Adventures Challenge Ropes Course. What amazing photos. Capturing motion through photography is so amazing, in which it the memories of the motion are in the form of stillness. Except for the statues, and as a runner, I lover this. Very, very clever! Thanks, Carl! I’m glad the runners resonated with you! I’m glad I got to use this photo. thanks, they all were! Best event we ever put on! !